John S. Huntington, Esq. has decades of experience handling complex family law matters. He is motivated to promote the dignity of parties and the best interests of children. Mr. Huntington practices law with professionalism and civility. Mr. Huntington is a certified Fellow in the American Academy of Matrimonial Lawyers (AAML). Mr. Huntington maintains an AV Preeminent Peer Review Rating, Martindale-Hubbell's highest rating for legal ability and ethical standards. 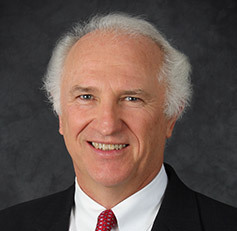 Mr. Huntington serves on the Board of Governors of the Family Law Section of the Virginia State Bar and chairs the Alternate Dispute Resolution Committee and the Local Bar Committee of the Section. Mr. Huntington has trained as a Collaborative Law attorney. Member of the Board of Governors of the Virginia State Bar Family Law Section (2013 - present) chair of the Section's Alternate Dispute Resolution Committee and Local Bar Committee. Member of Section since 1986. Virginia State Bar 10th District Subcommittee (2010 - 2016).